As a merchandise printing company, we always share all the benefits and opportunities that merchandise can bring with our clients. We also share how selling this merchandise can increase the earnings of producing any type of festival, which is a huge effort. It’s no secret that nostalgia sells. We all buy souvenirs from particular occasions that we attend as a way of remembering this event or festival. Aligning your marketing strategies to draw on your potential customer’s emotions and feelings has proven to be a successful, long-term strategy – especially if you’re aiming at engaging with millennials. Plus, we all know that millennials love festivals. These are the words of David Sprott, a Marketing Associate Professor at Washington State University and the author of many studies in the area of nostalgia. Sometimes, a long time doesn’t even need to pass for people to want nostalgia. Looking at a wristband you had at Glastonbury in 2016 will still bring a smile back to your face although it happened this year. It’s a well-known truth that a large number of people like to brag when they achieve a certain goal; it almost becomes a milestone celebration. Attending the festival of their dreams, whether it’s an annual thing or if it’s the one and only time they’ll ever be attending, most people will want to celebrate this with some form of a memento which says that they were there. This is one of the main reasons that you’ll see so many pictures on social media of a particular festival. People love to share these pictures and let their friends and the world know that they were part of this excellent time. It’s a matter of status, you’re a part of this select group who attended that particular festival in that particular year. People always post their status’ on Facebook, Twitter, Instagram, Pinterest and any other social media site to increase their status within their social groups or communities. They are also more likely to upload pictures of themselves wearing the merchandise that they bought from that particular festival as well. This means that your festival merchandise can gather some sort of a following as people are sharing their pictures of you wearing this clothing with their friends and family and this will help you gain more exposure through social media. Another huge benefit of this is that the picture which is being shared will most likely stay on social media for years and it will be remembered on the anniversary of the event. 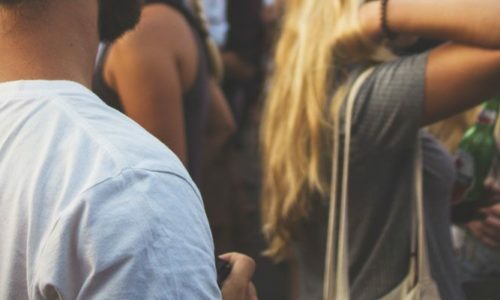 If you’re selling merchandise at the same event the following year, you can also offer a different design and turn your festival merchandise into collector’s items. People love nothing more than to feel like they’re part of a bigger picture; we love to be part of a group where we can identify ourselves. Having a sense of belonging is an incredibly common feeling as it means that we’ve been accepted as a member of something. There is a popular saying which goes “Birds of a feather flock together” and as we gather life experiences this is definitely the case. If we go back to the nostalgia effect, getting printed merchandise helps us to show off the group that we belong to and helps us to identify ourselves to others. We have had the opportunity in the past to print merchandise for some big events such as the Cannes Lions Festival. The Cannes Lions International Festival of Creativity is the largest worldwide event that gathers advertising and creative business professionals, marketers, advertisers, designers, digital innovators and marketers working in creative communications, advertising, digital media and related fields. More than 12,000 people from over 100 different countries come together to learn, network and to celebrate – making this a truly global event. In these two opportunities, we printed T-Shirts, wristbands and lanyards among other types of merchandise and promotional products. These are the words of Senta Slingerland, the Head of Digital and Creative at Lions Festivals. We strongly encourage you to print merchandise for any festival that you’re organising or attending. By printing merchandise it will open up a lot of opportunities for you, you can engage with your audience and you can leave a mark on them. It will also generate a buzz which the participants will share. At Garment Printing, we’re able to deliver a wide range of high-quality merchandise and promotional products and we will guide you through the process and offer you the best printing technique to suit your needs and your budget.